It's tough when you're one of the biggest stars on the planet—and everybody wants to take a shot at you. "I've heard that I'm misogynist. I'm a homosexual. I'm brainless. How can I be all of these things?" Cruise says. "I think people must sit in a room and make it up. I know they do. They sit there and wonder, 'Okay, what can we say next?'" Born in Syracuse, New York, Cruise's father left home when he was a kid. The family—he has three sisters: Marian, Lee Anne and Cass—moved around a lot, including a stint spent living in Ottawa. He also suffered from dyslexia which didn't make school work all that easy. Cruise finally found the acting bug after his mother had remarried and settled in Glen Ridge, New Jersey. A knee injury that kept him off his high school wrestling team also made him think about joining the less injury prone ranks of the drama club. After high school, he moved to New York and supported himself as a busboy and maintenance worker until he won an audition for Endless Love . Other films equally as bad as Endless Love followed until he won the lead in Risky Business (1983), which launched his career. Once married to Mimi Rogers, the couple divorced in 1990 after Tom Cruise met Nicole Kidman, at the time an up-and-coming Australian actress with whom he co-starred in Days of Thunder . Kidman and Cruise married December 24, 1990. In February 2001 he and Kidman separated after he met Penelope Cruz on the set of Vanilla Sky (2001). In August 2001, he and Kidman, with whom he'd adopted two children, were divorced and in January 2004, he and Cruz broke up. Nominated three times for an Oscar, Cruise has never taken home the coveted statuette, although he has won three Golden Globes for his performances in Born on the Fourth of July (1989), Jerry Maguire (1996), Mission: Impossible (1996) and Magnolia (1999). However, he has also won a Razzie Award as Worst Actor for Cocktail (1988). Cruise has a Star on the Hollywood Walk of Fame, located at 6912 Hollywood Blvd. Paid $75,000 for his first starring role in Risky Business , Cruise is now one of Hollywood's top earners. In July 2012, Forbes listed him as the highest paid actor in Hollywood with $75 million in earnings from 2011 to 2012. Tom began dating Katie Holmes, 16 years his junior, in April 2005. During an appearance on Oprah Winfrey's talk show, he jumped on the sofa and giggled about his relationship with Holmes, saying love had turned him into a lunatic. It gained him a lot of negative media attention, and even after they were engaged in June 2005, the media accused the couple of staging their romance as a publicity stunt. In fact, Cruise became a figure of intense ridicule, which prompted Paramount Pictures to drop him and his production company after 14 years in August 2006. In an interview with the Wall Street Journal, Viacom chairman Sumner Redstone commented, "As much as we like him personally, we thought it was wrong to renew his deal. ... His recent conduct has not been acceptable to Paramount." In the meantime, Tom and Katie became the parents of a daughter they named Suri on April 18, 2006. They were married in a lavish wedding that took place in an Italian castle on November 18, 2006. Cruise then revitalized his career by teaming with MGM to resurrect United Artists, a classic movie studio originally founded by Douglas Fairbanks, Mary Pickford, Charlie Chaplin and D.W. Griffith. In 2009 he was nominated for an Oscar for his supporting role in the comedy Tropic Thunder (2008). He has also won acclaim for his work in the WWII-era drama Valkyrie (2008). Next, he chose to play a super spy opposite Cameron Diaz in the hilarious comedy Knight and Day (2010) before reprising his role as Agent Ethan Hawke for a third time in Mission: Impossible - Ghost Protocol (2011). Cruise also landed a supporting role in Adam Shankman's highly-anticipated musical film Rock of Ages (2012) based on the successful Broadway production. He then starred in Edge of Tomorrow (2014). More recently, he starred in Mission: Impossible - Rogue Nation (2015), which went on to earn over $700 million at the box office. Most recently, Tom reprised his role as Jack Reacher in Jack Reacher: Never Go Back (2016) and played the lead part in Alex Kurtzman's action fantasy flick The Mummy (2017) alongside Sofia Boutella. 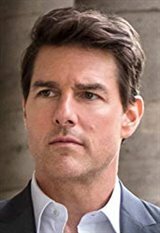 He also stars as U.S. drug runner and pilot Barry Seal in the film American Made (2017). Most recently, he reprised his role as Ethan Hunt in Mission: Impossible - Fallout (2018). Despite being in his fifties now, crowds are still flocking to see Tom Cruise, who is very much at the top of the Hollywood A-list. However, it's been reported that his role in the Church of Scientology is a major reason behind Katie filing for divorce from Tom in July 2012. The divorce was finalized in August 2012 and she has full custody of their daughter, Suri.